Revegetated on a wide variety of challenging terrain. 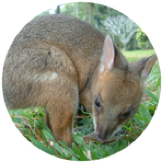 Kuranda Envirocare is involved with many different projects with multiple organisations, all of whom are working towards the protection & regeneration of our precious rainforests. 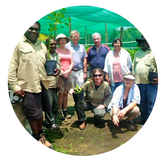 Their dedication and commitment to a better environment benefits not only the volunteers themselves but the wider community. You can volunteer, buy native plants for your garden, borrow a book from the library and much more!